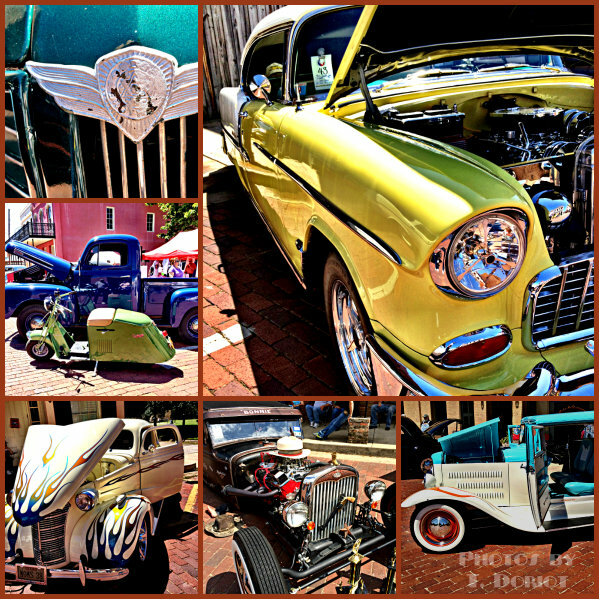 Jefferson Texas is home to the Outlaw National’s car and rod show event every year in April. The old vintage cars range from fabulously restored cars and trucks to Rat Rods and even some antiques that are just very well loved and used with no restoration. But the joy of this car show is just looking at all the details you just can’t find on new cars, like those shiny chromed bumpers or seeing your reflection in those highly polished paint jobs. When you gaze into those tucked leather interiors and see all the leg room they had and head room, you just can’t help but be envious of days gone by. The car show is a great fundraiser for the Percy Johnson Burn Foundation & Children’s Camp. All vehicles must be 1972 or older. April 18, Saturday 8AM show day registration at Otstott Park on corner of Vale and Lafayette Street’s. Then at 6PM the Auction begins at Auntie Skinner’s followed by dancing to live music at 9PM. April 19, Sunday morning Church Service then show and shine and awards ceremony at Otstott Park. Last year there were over 250 of the coolest classic cars that you ever saw in one place. Oh, and while you are looking for information about the car show you might consider booking your bed and breakfast reservation so you’ll lay your head on a comfy pillow each night. Have you sent out registrations for this year 2016 yet?